The apartments are located on Massandra beach in 2-3 minutes walk to the sea, 400 meters walk to the waterfront. 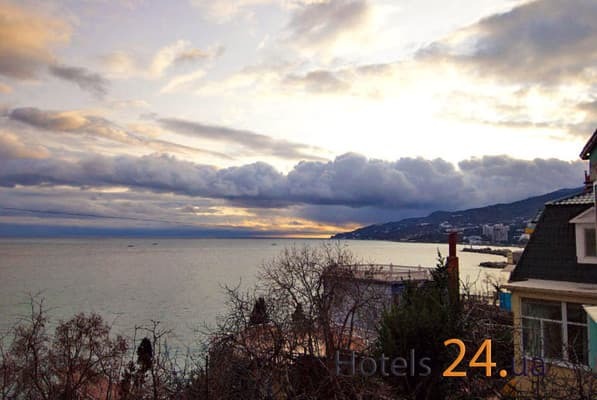 Spacious apartment with balcony and sea view, with its own private entrance. Apartments are equipped with everything necessary for comfortable living: double bed, new furniture, air conditioning, large plasma TV, refrigerator, hairdryer. In the bathroom there is a mirror, a shower, a washbasin and a toilet. You can park the car in the street and in the parking lot. Nearby there are shops, cafes, restaurants, children's playgrounds. Distance to the bus station in Yalta - 2.4 km; before Simferopol - 79,5 km. PRICES MAY CHANGE, IT IS REQUIRED TO RECEIVE INFORMATION FROM THE OPERATOR. Description of the room: One-room apartments with a large double bed, large plasma TV, air conditioning, a wardrobe, a fridge, and a hairdryer. In the bathroom there is a shower. The car can be parked both on the street territory and in a paid car park 150 meters away. Accommodation for 2-3 people. 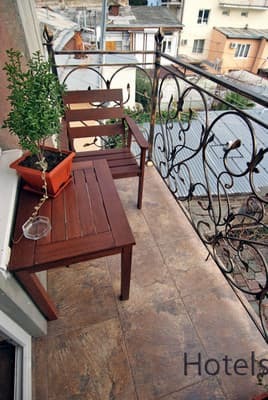 Description of the room: One-bedroom apartment with living area of ​​35 sq.m. Large two-meter bedroom with a large TV, air conditioning, refrigerator. At guests' disposal are an iron, ironing board and hairdryer. In the bathroom there is a shower. Apartment with high ceilings, independent heating. Parking in the street. On Massandra beach in 2-3 minutes walk to the sea, 400 m walk to the embankment. Distance to the bus station in Yalta - 2.4 km; to the city of Simferopol - 79.5 km.